Does your brand research lack focus?  Our Zapp business intelligence tooling provides you with a dynamic look at your customer and industry data. 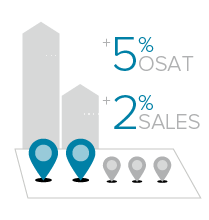 Quickly see where the opportunities lie to drive loyalty and sales. 5 stars. That’s important. We’re not just talking about a “good” experience. And not just a “satisfying” experience. Satisfaction isn’t enough.  Highly satisfied customers are 3x more likely to recommend. Combine customer and employee feedback to drive long-term financial success. An organization's most engaged locations outperform less engaged locations.